The garage door specialist in the Orillia area. Who is Jessco Overhead Doors? In the business since 1989 for taking care of all your garage door needs, you can call Jessco Overhead Doors at 705-325-2568 so we can help you. With our company, rest assure that our technicians and installers will always exceed your expectations. 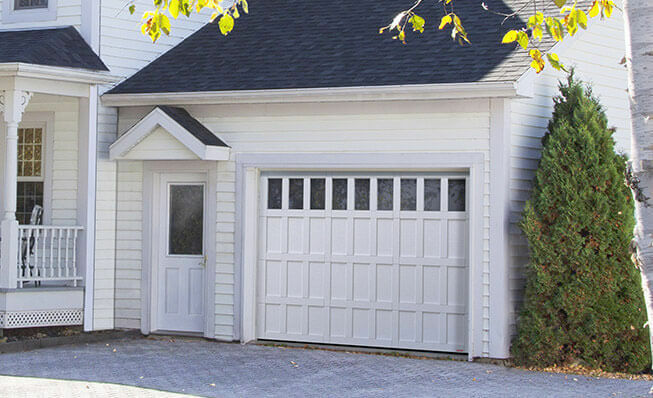 Need a Garage Door in Orillia, ON? Also call the “Sunshine City”, Orillia is located in Simcoe County between Lake Couchiching and Lake Simcoe. Being part of this city, you naturally want your garage door to match your home, and we can accommodate you. Discover hundreds of different options in our image gallery. Having issues with your garage door? We can help! What happens if you have an emergency with your garage door and you need repair? Jessco Overhead Doors is ready to help as we have a 24hr emergency service. Call 705-325-2568 or fill out the online form. We serve Orillia and surrounding areas as Gravenhurst, Barrie and Washago. Whether they need a repair or they need something decorative, our customers can always find what they need in Jessco Overhead Doors. We have replacement parts for many types of garage doors. From busted panels, broken springs, and parts for the opener, we have it. The weather in Orillia varies a lot throughout the year, and if you want to keep your home cozy, you should get an insulated Garaga garage door. The Eastman and the Standard+ are quality models that can provide you with R‑16 thermal resistance and the energy efficiency you need. We all know that a garage door opener makes the garage door more convenient, and you should always use the best. At Jessco Overhead Doors, we have LiftMaster products that can work well for commercial garages, as well as for industrial and residential garages.